One thing that really surprised me when I started looking for waterfalls to visit in Pennsylvania was the lack of waterfalls in South Central Pennsylvania. Given all the mountains we have in the area, I figured there would be some good ones to be found. Sadly, that’s not the case. 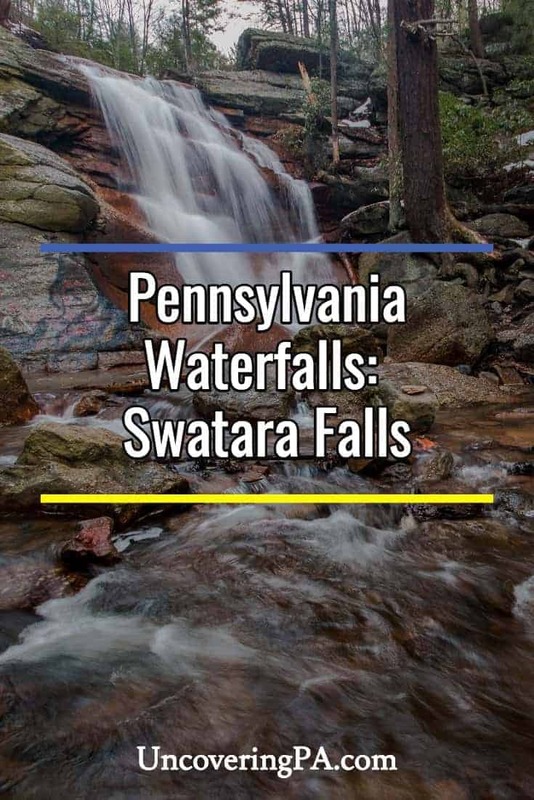 However, when I was looking for things to do on my road trip to Centralia, Pennsylvania a few years ago, I stumbled across Swatara Falls. Looking upstream at Swatara Falls. Swatara Falls is located near the headwaters of Swatara Creek. This creek is a major tributary of the Susquehanna River and passes through Swatara State Park and past Indian Echo Caverns before reaching the river in Middletown. Along the way, kayaking the creek is a lot of fun, or you can search out Sweet Arrow Falls and two covered bridges along a tributary. After hiking for about fifteen minutes, I started to hear the familiar sound of falling water. Continuing down the trail a few more minutes, I rounded a bend and saw Swatara Falls before me. It was awesome! 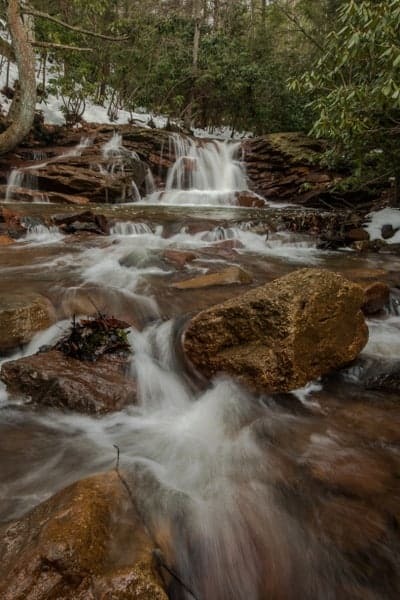 A side view of the beautiful Swatara Falls. 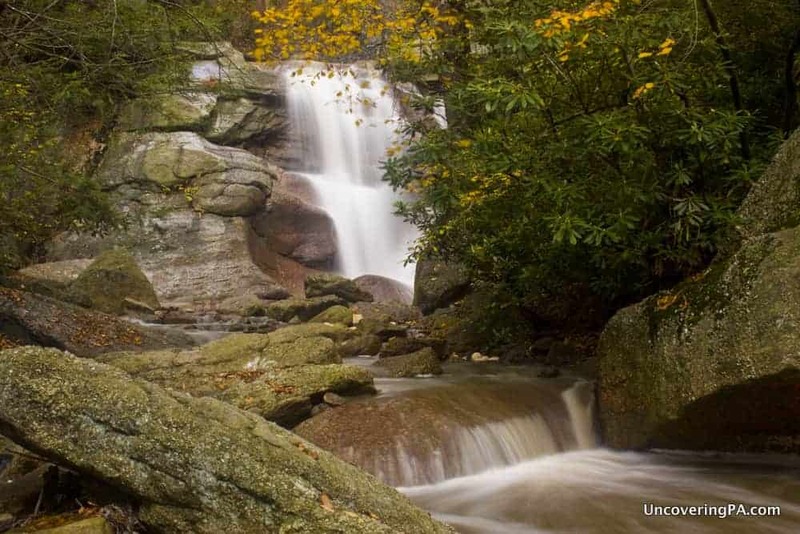 Despite only having a height of roughly 25 feet, Swatara Falls is by far the highest waterfall for a good distance. During the spring thaw or after a lot of rain, Swatara Falls runs very nicely. However, if it has been dry recently, this waterfall can be little more than a trickle. Swatara Falls is near the headwaters of Swatara Creek, which runs 70-ish miles before passing Indian Echo Caverns and draining into the Susquehanna River just south of Harrisburg. 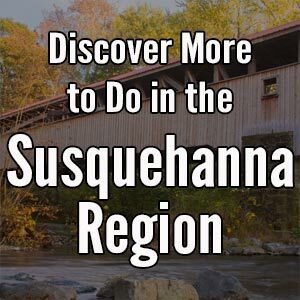 It’s tributaries are also home to great finds like Sweet Arrow Lake Park and the covered bridges of Schuylkill County. Unfortunately, there is some graffiti on Swatara Falls. Such a shame people can’t respect nature. In addition to being one of the only waterfalls around, there is a lot to explore around Swatara Falls. There used to be a rope along the rocks to the left of the falls, but that is no longer there. While it’s still possible to scramble up the rocks, it’s much easier to cross the creek below the falls and climb up the far bank. If you follow Swatara Creek upriver for about 200 feet, you’ll come to a second small waterfall. While I didn’t discover this waterfall during my first visit, I was excited to stumble across it during my second visit to Swatara Falls. Despite Upper Swatara Falls being only about 7 feet high, it is quite beautiful. 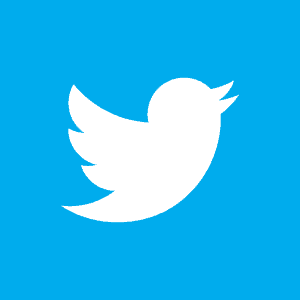 This is definitely a great place to check out if you can, especially for photographers. Upper Swatara Falls sits a few hundred feet upstream of the main falls. 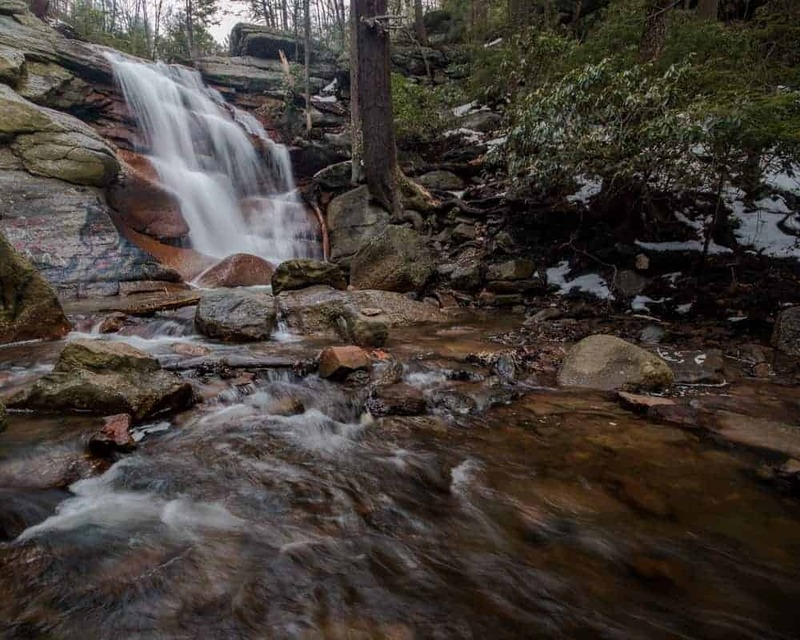 While it may not be the most impressive waterfall in Pennsylvania and it has been marred with some graffiti in recent years, visiting Swatara Falls is still worthwhile. 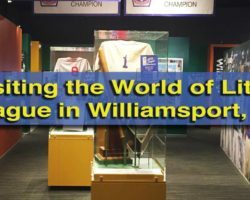 This is a very beautiful portion of Pennsylvania’s Susquehanna Region and offers a chance to enjoy some off-the-beaten-path nature. 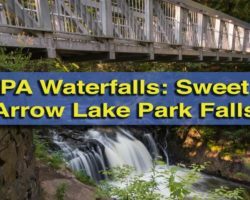 Sadly, at the request of the property owners, the directions to Swatara Falls have been removed. 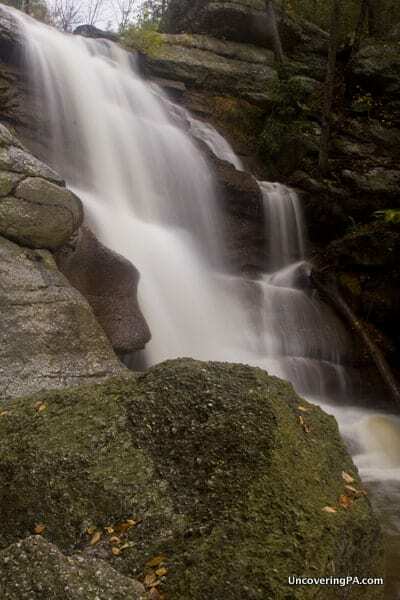 For those that own waterfalls, I implore you to share these beautiful areas with others and either allow respectful hikers to visit or consider donating/selling the land to the state or a preservation group so that we all can enjoy scenic spots in Pennsylvania. Glad the directions helped you get to Swatara Falls. Hope you enjoyed your visit, Darren! My husband and I are originally from Pennsylvania. We live in Arizona now, but make regular visits to PA to visit family and do genealogy. Thanks for all the great information for new and exciting things to do on our visits. I do need to put together a piece about waterfalls that require a lot of hiking to visit. 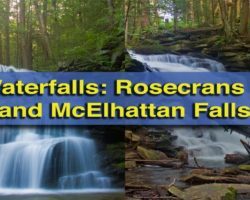 Until then, you can see all of the articles I’ve written about waterfalls here: https://uncoveringpa.com/tag/pennsylvania-waterfalls. I wanted to thank you for the excellent directions to Swatara Falls. They were spot on. We went there today and it was beautiful! I never would have found it without your piece. Many thanks, again! That’s great to hear, Rya! Glad you had a good time. You must not have been there recently. Some as**oles with a paint can have graffiti all over the rocks. Hope you burn in hell whoever you are! 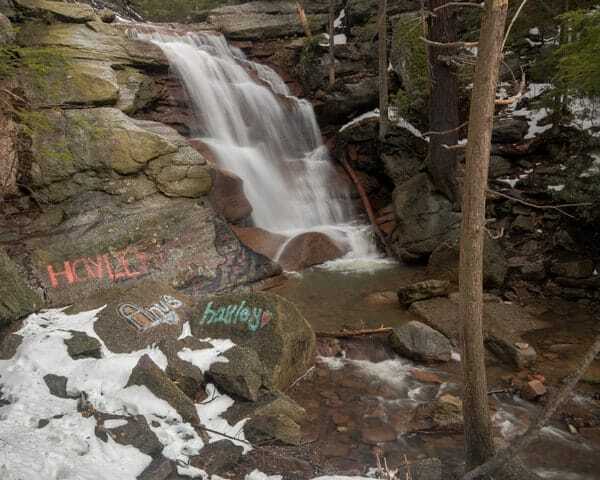 Unfortunately, there has been graffiti and trash at Swatara Falls since before I first visited two years ago. In fact, I had to edit out graffiti in almost every photo of this waterfall. Haven’t been in a year or so, but it’s definitely not a new problem. I do wish people would grow up, though, and stop ruining beautiful places. I keep hoping that organized hikes will improve stewardship of the trails. Alcohol and hiking are at fault here… Does anyone know how to remove graffiti? There are ways to do it from rocks. 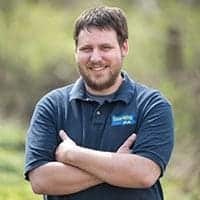 Unfortunately, the issue with Swatara Falls is that it isn’t owned by the state, so it hard to arrange anything official to solve the problem. I hear you on the above. They are problems from self-centered people who don’t give a hoot and who should be banned from the woods altogether. Granted, beer cans are easily carried out, but that doesn’t change the fact hikers should leave no trace. As for graffiti, the answer is Taginator https://www.taginator.com/Default.asp?gclid=CKqg1_akkdYCFYKNswodmFgFFQ (PLEASE NOTE – I don’t own this company or shill for them – just an FYI) and physical strength mixed with gallons of water. Having heard horror stories of clean up at the top of the 1,000 Steps from trail maintainers (40lbs of water or so needed), I get a little more angsty about A) how disturbing of the environment it is, B) how hard it is to get equipment up and down to elevations C) how it wastes so much time to clean (when that time could be better used cutting back under and overgrowth on trails, and D) how stupid and ugly graffiti is. I’m sure anyone who went to the abandoned road in Centralia would agree (as well as Hawk Rock, which is now cleaned up and left in good shape – though some of the scars are still visible). I WOULD LIKE TO ARRANGE A PLEIN AIR PAINTING OUTING TO THESE FALLS. COULD 4-6 PEOPLE SET UP EASELS TO PAINT THERE? ANY OTHER FALLS[ WE’VE PAINTED AT LETORT FALLS] TO PAINT? WE ARE IN THE HARRISBURG AREA. Mill Creek Falls in York County is fairly close to Harrisburg. Otherwise, there aren’t any other waterfalls within an hour or so of the Harrisburg area. There should be plenty of room to set up easels at Swatara Falls. That’s great to hear, Tina! Glad you enjoyed your visit and that the directions were helpful. Have you been to the falls in St. Clair, directly off the Burma Road? I think they are called Wolf Creek Falls? Another beautiful place to hike and take photos. It is a two mile walk to the top of the falls with a short, fairly easy walk down the side of the falls. I haven’t had a chance to yet. It’s on my list, though. I too wish people would treat the area with more respect. Unfortunately, it’s been a dumping ground for as long as I’ve known about it. As for camping, I’m pretty sure it’s not allowed. You were informed correctly about the NO PARKING signs. Concrete highway dividers have been placed in the area where cars were once parked, The signs state anyone parking illegally will be subject to tow. Not wanting to waste the hour drive to the falls, I looked for an old road that might serve as a spot to park, There were 3 within a 100 yds of each other, only problem, seems there was a lot of broken glass and nails strewn about. Thanks for the update. Glad you found somewhere to park.